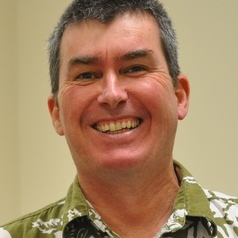 Michael Foley, a Senior Lecturer in Public health dentistry at The University of Queensland has an interesting article in The Conversation* – ‘Holistic’ dentistry: more poppycock than panacea? The placebo effect is not enough and reliance on it could even be dangerous. But alternative health practices like this do have a market – and for some people their appeal lies with their distrust of science. Sander van der Linden and Stephan Lewandowsky discuss this distrust and how to combat it in a recent scientific American article – How to Combat Distrust of Science. They centre their argument around the issue of climate science, but I think they are also relevant to alternative health and the distrust of health experts common in our society. On the one hand they attribute difference in the acceptance of science to the way that people interpret the same information very differently. On the other hand the authors argue that “expert consensus” can counter this. In their work they found that if people had been exposed to background material containing the message “97% of climate scientists have concluded that human-caused climate change is happening” they actually increased their estimate of scientific support for human-caused climate change by about 13% (and 20% in some cases). In later work they found a causal link between highlighting expert consensus and increased science acceptance. This suggests to me that many people may take up an essentially anti-science stance because they are just unaware of the facts of consensus, or are under the illusion that scientific dissent is greater than the objective facts show. I see that as a positive message. We often concentrate on the anti-science position of ideologically motivated people and forget that the majority are probably misinformed – both about the science and the degree of expert consensus. It is this majority, rather than the ideologically motivated science distrusters, who science communicators need to target. Are we biologically wired to accept consensus? The authors suggest there are good biological reasons for the positive effect of consensus information and the negative effect of dissent information on the acceptance of science. The ideologically and commercially motivated opponents of science recognise this – hence their attempts to sow doubt on the scientific consensus. They will promote the message that there is no consensus. Or that the very fact of a consensus is somehow a “proof” the science is wrong because scientific understanding will change in the future (the Galileo gambit – see The Galileo fallacy and denigration of scientific consensus). So, perhaps another task for science communicators. propaganda claiming scientific fraud, unethical scientific funding, etc., needs to be countered. But also the public needs to be made aware of the commercial and ideological motivations of those who attempt to misrepresent the science and the expert consensus. * The conversation has some excellent articles. But Christopher Pyne in his article Government funding for The Conversation website to be axed, reveals that government funding for it is to be stopped.